KHUKRIWALA: manufacturers & exporters of steel-craft and museum pieces such as Khukries, Daggers, Hunting Knives, Swords, Axes, Handcuffs, Fetters(Gyves), Cartridge Pouches. 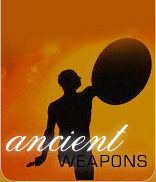 Armors like Warriors Helmets & Jackets, Fenders, waist-Locks, Swords-sticks, Walking sticks, Bugles, Marine Instruments etc. Each Item is carefully and elegantly hand made with traditional skill handed down to us from centuries of experience and reliability. Our items include show-pieces of historical & ancient figures reproduces to their originality and shape.